Happy New Year to everyone. It is a little late I know but we’ve had a very busy start to the new school term! The children and staff have returned full of enthusiasm and there has been lots of exciting learning going on around the school. Teachers have been working really hard on the school curriculum and there have been lots of really exciting lessons being taught. 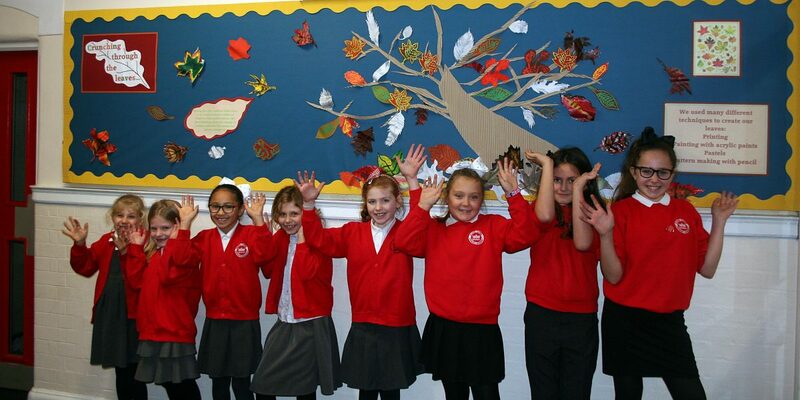 Pictured are children from art club who created some really impressive art work which is now on display in one of our main corridors. Thanks to Miss Langton for leading this club. Thank you to all the parents and carers who responded to our curriculum survey over the Christmas break. The results have been really interesting. On our INSET day at the beginning of January, we shared the survey results with school staff and used this information to help inform decisions about the curriculum we are continuing to develop and the vision for the school. There is lots more to do on this and we will share more information as we continue the work. There are many exciting things planned for this term. On Monday, we are really looking forward to seeing our new equipment for the Reception playground being delivered and installed. Our children are lucky to have such a large outdoor area to explore and learn in and these enhancements will make it even better for them. I know that Year Two children are very excited about their trip to the Sealife Centre in Brighton and Year Three have already been out and about exploring this week.